One of the worst feelings in the world of inbound marketing and enrollment is to write an incredible blog post, publish it, share it, and then … crickets. It’s a lot better when the opposite happens: when you experience the thrill of seeing an expert in your space share and promote your content for you. This post will give you a practical, actionable approach to writing and designing the kind of content that VIPs love to share with your audience. The first step to getting influencers to share our content is knowing who those influencers are. There are a few ways you can do this. And good news: they’re not mutually exclusive, so we can mix and match these approaches. A quick Google of our keywords is probably the easiest way to figure out who the influencers are in our space. I suggest opening an incognito window in Google Chrome and searching for a keyword in your space. Now we’ll click through to the top results and find out who wrote them. If these folks are ranking for this search term, we want them sharing our material! Let’s use Koine Greek as an example again. 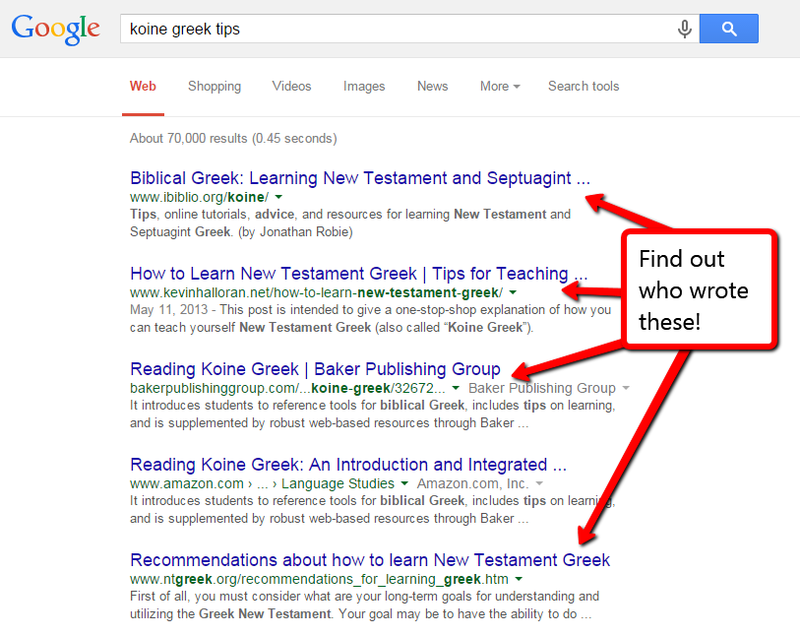 This time I’ll go to Buzzsumo and enter “Koine Greek” into the search bar. I can see that the most shared post, “Learn New Testament Greek,” has been shared 148 times on Facebook, twice on Twitter, and once on Pinterest for a total of 151 shares. In some cases, Buzzsumo shows me who the author of a post is. In others, I’ll need to click through to find out who wrote the content in question. If we really want to know who our audience views as influencers, we can also simply ask them directly. OK, we have our list of influencers. Now here’s how to encourage them to share our content. We can’t just produce content for the blog and then think of ways to get others to share it! The whole getting-VIPs-to-share-our-stuff process begins with the creation of the content itself. There are several ways to write this kind of content, but I want to focus on two sure-fire ways to make it happen. How do you feel when someone publicly recognizes your good work? Warm fuzzies, right? I bet influencers feel the same way when someone thoughtfully points out their job well done. giving them a direct shoutout and linking to their Twitter handle. Doing this gives you a few benefits. First, it helps bring on the warm fuzzies for those experts. Second, when we recognize the people our audience respects, it make it easier for them to associate that kind of quality with us, too. So the first step is to write content that makes VIPs look great. Experts are busy people; they’re not going to accidentally discover that we’ve given them kudos. We’ve got to let them know about it. So I worked hard on a post that was as practical, actionable, and expert-sharable as possible. I ended up with a piece that gave shoutouts to several thought leaders in the content marketing space, including Brian Dean, Neil Patel, and Buffer’s own Kevan Lee. But remember: The reader comes first! As we’re writing content, it’s important to remember that we’re writing to our audience, not the VIPs. If we write a blog post that’s nothing but a grab for attention, readers—and the influencers you’re trying to court—will likely notice. If we write a blog post that’s laser-focused on making our readers’ lives better, readers will love us for it and the experts will appreciate being included even more. Remember how I told you I asked the Disciplr team who they thought the influencers in our space are? One of the people they told me about was Tony Morgan, a church consultant at the Unstuck Group who helps his clients lead well and focus on what they do best. 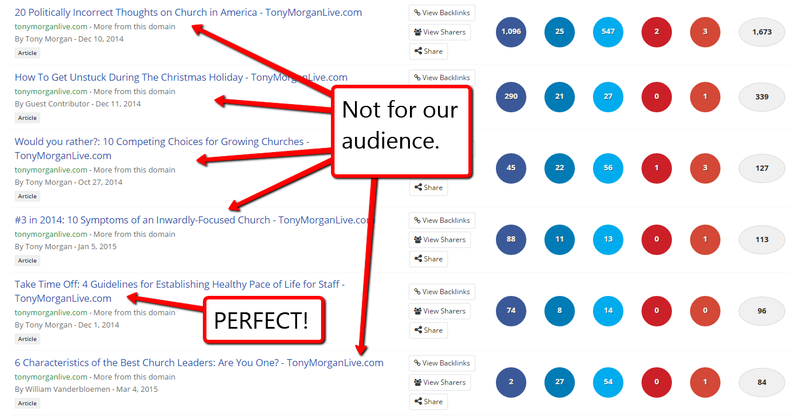 Disciplr ended up not only getting social mentions from Tony Morgan and his consulting group, but getting featured on his blog, too. When we last looked at this tool, we searched for the most popular articles on a certain topic. But this time, I wanted to find the most popular content that Tony Morgan himself has written. The key part of this is to offer the influencer an exclusive. Remember, the content is really theirs; we’re just offering to put it into a new format. In my opinion, that means they should be the ones to break the news about the new content to the world on their own properties. 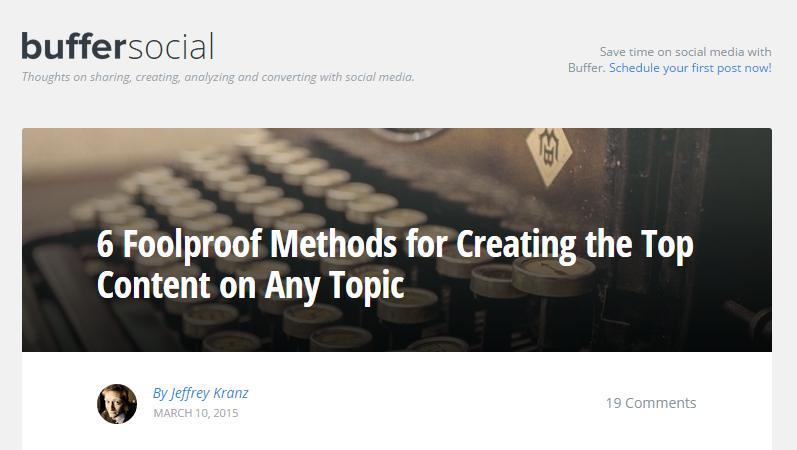 How do you get experts to share your content? Publishing a piece and wondering how to drive traffic to it isn’t much fun. But when you write and design the kind of content that VIPs love to share and audience love to read, everyone wins. These are the methods that I’ve found are tried-and-true for getting experts to share content, especially when trying to get noticed in a not-so-centralized market. Have you tried any methods for getting on the radar of influencers and VIPs in your area? I’d be interested to hear about them in the comments!